Bakery Business is indeed a profitable small business idea. Small bakeries are a fairly large business, which requires hard work, dedication, and talent. Are you one of those at your home who bakes killer cakes for every birthday? Your stomach churns when you smell pie cooking at your neighborhood? Are you willing to make money with your talent? Then you are in the perfect site! To open a bakery business you must have a plan. Select the kind of bakery you want to open. For this, you have to access your talent, budget, and goals. You would want to open an online bakery, counter service bakery, specialty bakery or a sit a down bakery. If you have little investment online bakery would be your best choice. Make a killer website, click your masterpieces, and post them on the site. This way you will be well-known and reliable. For starting a bakery business you must buy loads of stuff. Take a pen and a pad, write down the necessities which may include: sugar, flour, milk, lots of eggs etcetera. Now let us deduce the more expensive appliances like ovens, refrigerator, to smaller items like utensils and pans make sure you create a full list of tools. One of the most important things is where you locate. You may choose a retail place near your neighborhood where you know many of the people, or you can decide to open near your target market segment. You can also buy large food trucks and roam around the city this will increase your chances of sales. Might get a little expensive for you at first but this will help you grow at a higher rate. Or if your investment is too low, you can open a cart every holiday. I am saying holidays because the other days the law enforcement might bother you, you may have to go through a lot of complications. Hence, the holidays are good for you. People love having sweet on holidays. You can design a website which contains basic information about your products, hours of operation and locale. If you get free time, you can also write a blog with weekly baking tips. Join business groups and forge relationships that are beneficial to your bakery. Participate in charity events and hand out business cards as much as possible. Launch your business with a grand opening celebration. You might consider giving away free baked goods. As work starts to pile up you will be needing extra hands in the kitchen. Do not hire immediately and put new hires on probation periods. You will need to make sure they are trustworthy and have the capability to learn. 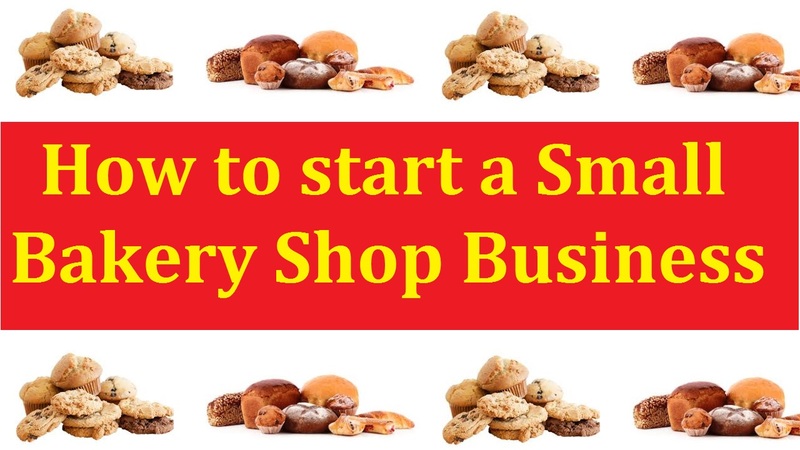 How to Start a Small Bakery Business. You may want to hire someone to check these stuff. Or maybe a friend or your mom can help you out with this. This way you save money! Asking your customers to rate your products and the overall service level. This can help you improve and cultivate loyal customers who feel a part of your business. Also, focus on the hygiene. You must get the necessary permits and licenses to operate the bakery. Call or mail your local municipal office for more details because regulatory requirements vary by jurisdictions. Bakery business these days are growing at a higher rate around the world. The market has witnessed a rapid growth in developing countries such as China, Japan, and India. Keep things simple. You are making a career of something that you love to do. So don’t get disappointed if you don’t get much success at the start. Know that slow and steady wins the race. You grow from small. Follow your instincts. Follow your passion. You have got it.